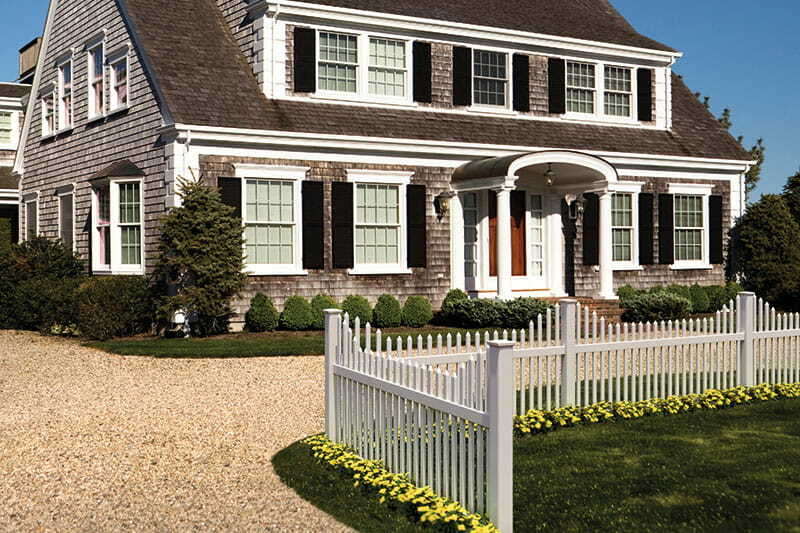 Looking for a low-maintenance white picket fence with a narrower picket profile? 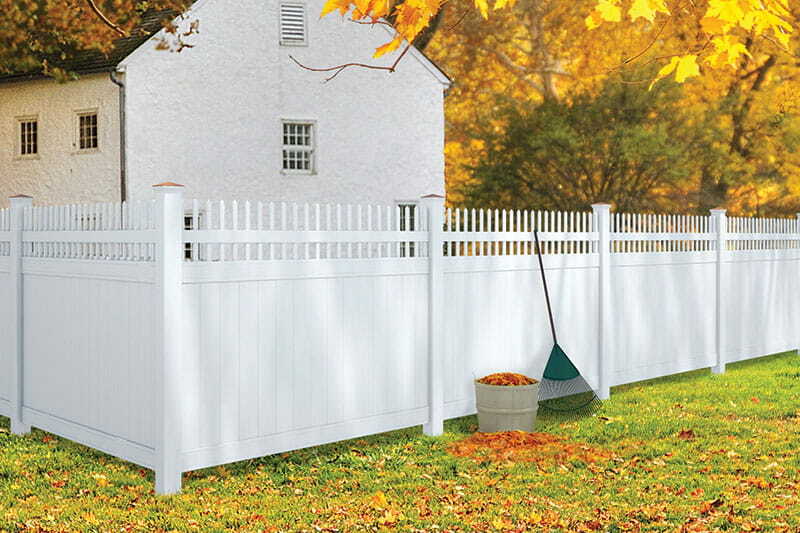 Our Needham Spaced Picket vinyl fence is the style for you. It features 1-1/2 in. pickets for an upscale look. It’s made with durable, low-maintenance vinyl that will never need to be painted or stained. And it’s backed by a lifetime limited warranty. In addition, there are no brackets for a clean, flawless appearance. The fence rails lock into routed holes in the posts, and pickets slide into routed holes in the rails. 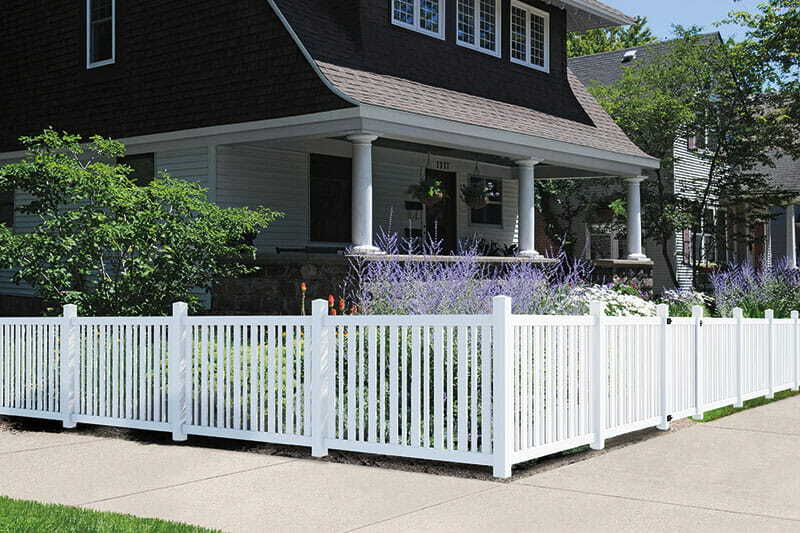 Our Needham Spaced Picket fence is available in two styles – Scalloped or Cut Scalloped. We offer compatible routed posts and matching gates for each size.